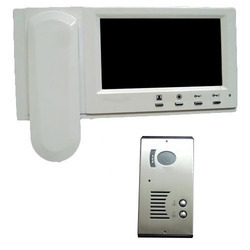 Our company has gained name and fame in presenting Video Door Phone. Our company has gained name and fame in presenting Color Video Door Phone. Being the foremost company, we are offering an exclusive array of Video Door Phone. We are Fire Extinguisher Manufacture in Delhi and in India. We are Fire Fighting Dealer in Delhi and in India. We are Fire Sprinkler Manufacture in Delhi and in India. Product Description:Due to our honest business standard and transparent dealing, we are steadily making our way to the platform of success by tradingVideo Door Phone. Video Door Phone, full interactive and both way communication. Vandal proof outer part, Pin Hole camera integrated, Mic, Speaker, and Full TFT LCD Monitor Screen on the In-House Panel. Most Convenient, User Friendly and, Secure way. Owing to the vast industry experience and in-depth knowledge of this domain, we are offering a huge collection of high-quality Hikvision Multi Apartment Entry Door Phone to our valued clients. We have marked a distinct and dynamic position in the market by providing a quality assured array of Video Door Phone. This product of ours is to just make your home a much safer place lo live in. 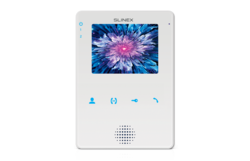 This modern system helps have video intercom from your home. - See and converse with visitors at the door before you open it. - Clear two-way audio communication. - The doorphone monitor comes complete with a 1.8-inch TFT LCD monitor and door release button which can be used to operate an electric door latch. - Weather resistant doorphone camera has a built-in camera, call button and 6 infrared LEDs.